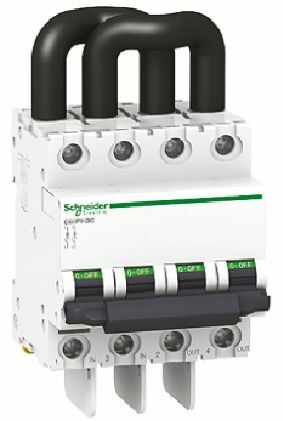 iC60H series multi-standard circuit breakers combine circuit protection against short circuit currents and circuit protection against overload currents it also protects people against indirect contact with TN and IT neutral systems. Fully compliant with standards IEC/EN 60898 and IEC/EN 60947-2. ACTi 9 is fully tested, approved and certified by national and international third parties. It guarantees that your installation is safe and compliant with all relevant safety standards which demonstrates to your customers that you use industry-approved materials and best practices. These MCBs are normally used for high inductive loads where switching surges are high. 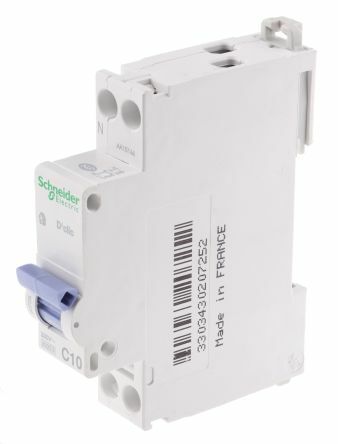 Providing essential protection in industrial and commercial buildings, these miniature circuit breakers work especially well in polluted environments and networks. VisiSafe guarantees the downstream circuit is always safe regardless of overvoltage conditions, even in the most demanding environments; the green strip indicates the safe position of contacts.  Class-2 insulation: ensures continuous protection for both operators and unqualified persons. 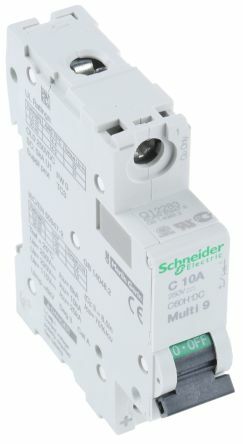 Q: What exactly does a miniature circuit breaker do? A: It protects wires from overloads and short-circuits. For overload protection the temperature of a bimetal, through which the current passes is decisive. If the nominal current—the current the circuit breaker is designed for—rises slightly, the bimetal heats up to a greater extent and, after a certain period of time, this causes the switching mechanism to trip. Today MCBs are installed in all our homes, offices and other buildings, protecting the electrical wires from damage. They have the advantage that they can be manually reset without having to replace wire as in the case of the traditional fuse. The MCBs have either a button or lever that can be flicked to reset it. They are used instead of fuses due to their convenience and improved safety features. Q: What is the differences in the Tripping Curves B, C, and D? A: Curve B: Tripping: 3 to 5 times the rated current. This model has tripping curve type C that trips instantly at a rate of five to ten times its rated current. 3 pole breaker and a breaking capacity of 10 kA. 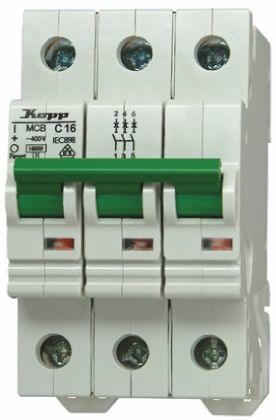 Circuit breaker to protect photovoltaic modules against fire in case of short-circuits. Insulation voltage Ui = 1000 VMax. operating voltage Ue = 800 V DCRatings: From 1A to 25A.